Goldcoast Painting has been proudly offering design, decoration and painting services in Broward County and surrounding cities for many years. Our priority is the satisfaction of our clients, so we always take the time to ensure you are satisfied with the design of your space before starting any work. 2C's is a full service painting company dedicated to doing a quality job with integrity and pride for all our customers. We have been proudly servicing the South Florida Area for over 20 years. We offer full interior and exterior work with an eye towards enhancing your most valuable possessions, your home or property. 2C's uses nothing but quality paint products and is proud to be affiliated with Sherwin Williams Paint Co. So you can be sure our job will have the staying power to match even South Florida's weather and conditions. Here at 2C's our guiding principle is" IT"S OUR HOME OR PROPERTY TILL WERE DONE". Meaning we do the same job for you, we would for ourselves. That's our promise to you. Give us a try and see the 2C's Pro Painting difference. Greg's Custom Painting & Pressure Cleaning is an A+ rated painting contractor. Our reputation for fine quality and craftsmanship is impeccable. We offer the only 10 year labor warranty in the industry and use only premium grade paints from Sherwin Williams, Benjamin Moore and Behr. We are a full service residential and commercial painting company that provide interior/exterior painting, pressure cleaning, paver seal coating, deck coatings and related services. Greg's Custom Painting & Pressure Cleaning will exceed all your expectations and guarantee it. The Wall Design is the result of over 15 years of experience in decorative painting. We love to create and give interior spaces a twist with our techniques. We enjoy doing our work and we would love to share our experience with you. 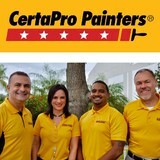 At CertaPro Painters of North Miami we are committed to deliver the best painting experience! 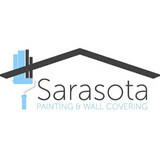 We specialize in Residential and Commercial painting. With our professionals by your side, the process will be easy and convenient. " WE DO PAINTING. YOU DO LIFE. " Margarita Streinesberger with a long life experience has been working as a family business with her parents Franz and Marta and a team when needed, developing through the years the combination of the technics and materials to create and decorate walls, furniture, and more with murals, faux finishes, canvas, distress finishes, art restoration, touch ups and more, much more, from simple to exotic! - The Process - We get together first to see and talk about your ideas and needs. If you're open to suggestions, we are happy to present you different ideas to consider the possibilities. After an agreement on theme, design, style and budget we can determine the time to schedule the work. Just let us know about your project to be prepare for our visit to meet you. It's a pleasure to meet adventure, open, happy people to work with! Please visit heronline art gallery at www.marstreinesberger.com. For nearly 18 years, HG Brothers Painting Company, family owned and operated, has brought a refreshing mix of quality and professionalism to homeowners in Palm Beach. We are respectful of your time, courteous to your family, and honorable with the service we provide. Is like having a family member painting your house. We deliver a consistent level of quality in painting and customer service, which means you get far more than paint on walls, you will get expert advice, friendly and professional customer service, for a “Friends & Family price”. We are confident in the quality of our work, therefore we offer warranty on every job we do. Our customers satisfaction is everything to us, if you are not satisfied with the quality of our service, give us a call, we will go right away and work until you are happy. We specialize in custom Faux Wood Grain for Metal & Fiberglass, Entry & Garage Doors. Our finishes are maintenance free, never needs sealing & are guaranteed not to chip, crack, haze, burn, blister or peel. Owner operator Dennis A. D'Avanzo has 35 years painting experience and his employees are 12 years trained in the techniques of wood grain. We use only the materials formulated for a long lasting maintenance free beauty. Florida Coatings PRO is the premier paint contracting company in Miami, FL. We work with interior designers, property managers, and general contractors to deliver the best Paint job. Interior Designers look to Florida Coatings when: - Seeking competitive advantage by offering the best Paint jobs to homeowners and investors. - Frustrated that their current vendors are not doing what they promised when it was offer to them. - They've had it with painters who are poorly trained, unreliable, unprofessional, and difficult to communicate with. 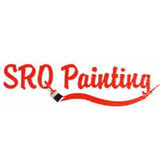 -They're searching for a truly unique painting experience with skilled and knowledgeable painters. Florida Coatings, continues to dominate the Miami painting market because we are different from all other alternatives. - We are true one-stop shop that provides real painting solutions. - We offer in-house color consulting and free paint samples to ensure our clients are truly satisfied with the colors they select. - We are vendor agnostic, allowing us to provide the best-fit products for your particular application. - No one handles situations better or responds faster. Communication is our specialty. - We have without question, the most professional, polished, responsible, and courteous painters in the business; clients tell us that our painters are like their own key employees. 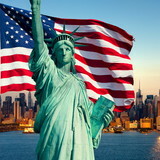 - Our clients enjoy to review and refer us to their families and friends. Many Mansions Painting & Finishing, Inc. Many Mansions Painting & Finishing is devoted to serving our clients with personalized attention and amazing results. Many Mansions painting crew are true professionals, always sure to treat every detail of a job with proper care, whether you need an exterior painter or an interior painter. From our first phone call to the final inspection, Many Mansions distinguishes itself among South FL. painting contractors for lasting, alluring results. Do your walls give you dirty looks? Have you gotten tired of the same old colors in the same old rooms? Maybe you’ve even started a project, but never finished because you just don’t have the time. Let us help! We want to help you liven up your home, and make it a place you want to show off to guests. Remodeling can be expensive – sometimes all it takes is a fresh coat of paint. Once you’ve made your choice, we’ll be there to make sure the job gets done right the first time. Our staff of full-time professional painters can turn your vision into a reality. They’ll clean and prepare the surfaces, apply the primer as needed, and then paint your walls with an attention to detail that is unmatched in the industry. We’ll also make sure your home is as clean as it was when we stepping into it, leaving behind only the fantastic color you selected and any extra paint so that you can make any touch ups needed. Or, you can always call us to do it for you! We want to be your painter for life – let us treat your home like it was our own. When you’re ready for a change, don’t wait to give us a call! We’re ready to make your home feel brand new again. Mills Wallcovering has been installing wallpapers and protective wallcoverings in Miami for over fifteen years. Our experience ranges from a wide variety of protective plastic covering at the Palm Springs Emergency Hospital from Hialeah to Saint Martin. Locally, we have installed archival photographs and murals for Museums of Contemporary Art in Miami, such as the Bass Museum, and the Perez Art Museum. Not to mention countless bathrooms and accent walls in homes throughout South Florida. While all our installations are done by the roller and table method; the installation of delicate silks, grass cloths, fabrics or for large quantity vinyl we use 70” we utilize the Pastemaster paste machines to insure flawless installation. Today's variety of delicate materials and escalating costs prohibit anything but the undivided attention of a skilled craftsman. Mills Wallcovering is licensed in Florida and covered by liability/disability insurance. We will be more than happy to provide free estimations from blue prints, project site visits, and references. -------------INTERIOR AND EXTERIOR -------- RESIDENTIAL AND COMMERCIAL CONTRACTOR FOR: PAINTING - TEXTURE - DESIGN - CONSULTING - RESTORATION - REPAIR - INSTALLATION - REPLACEMENT OF: 1. SURFACES / WALLS / CEILINGS : --DRYWALLS - SHEETROCKS - PLASTER WALLS - STUCCO WALLS - BRICK WALLS - MURALS - WALLS 2. FLOORS : --CONCRETE FLOORS - PAVER FLOORS - HARD WOOD FLOORS - DECKS - ROOFS - DOORS - WINDOWS - STAIRS 3. MISCELLANEOUS : --METAL DOORS - WINDOWS - ROOFS - GARAGES. 4. SURFACE TEXTURE FINISHES: --SMOOTH - SANTA FE - SWIRL - KNOCKDOWN- DOUBLE SKIP - SKIP TROWEL - FRENCH LACE - HAWK AND TROWEL - CUSTOM FINISH. 5. PAINT FAUX FINISHES: --METALS - PATINAS - SAND - ROCKS - SMOOSH - SPONGE - BRUSH - GLAZE - CHALKBOARD - STIPPLING - HARLEQUIN ( ALL SHAPES ) FROM: COLORS INC PAINT AND DESIGN CONTRACTOR. TO : OUR CUSTOMERS. HAVE YOU EVER? PAINTED YOUR YOUNG DAUGHTER'S ROOM IN PINK AND SEEN HER REACTION OF BEEN NURTURED OR SPOILED. OR HAVE U YOU EVER? PAINTED YOUR BEDROOM IN A SHADE OF BROWN AND FELT SAFE AND SECURED. AT COLORS INC we understand that your home is your temple and place to rest, because science has proven that COLORS influences humans on a psychological level, from our everyday emotions, feelings and moods, to the choices we pick, further more, because we spend an average of more than half our life inside our homes, "COLORS INC PAINT AND DESIGN CONTRACTOR's main goal is to change the appearance of your home or business and make it a more vibrant and pleasant place to live, by offering free consulting for your home or business based on your styles and preferences. Choosing the appropriate COLORS can have a positive effect in your home as well as in your business. Great enterprises such as STARBUCKS, TARGET, HOME DEPOT, MC DONALDS and NETFLIX just to mention a hand full spends billions of dollars yearly choosing the right COLORS to have an unconscious impact on viewers preferences, creating urgency, comfort, balance, authority just to name a few. BLUE (light shade) comfort, peace, awareness, etc. BLUE (dark shade) authority, loyalty, responsibility, etc. GREEN (light shade) balance, growth, prosperity, etc. RED (dark shade) urgency, passionate, power, etc. LET US BE YOUR NEXT COLORS AND DESIGNS CONTRACTOR. WE HAVE THE KNOWLEDGE AND EXPERIENCE YOUR HOME AND BUSINESS DESERVES. 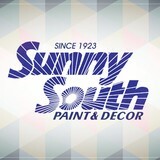 South Florida Faux and Decorating Inc.
South Florida Faux was incorporated by Jennifer Sada in 2006. Jennifer and her partner Natalie Ball and team, including Kirsten Hampton, have in depth experience in faux painting and design to many areas of South Florida, including Miami, Fort Lauderdale, Wilton Manors, Oakland Park, Hollywood, and more! We specialize in all Italian Plasters, Murals/Trompe-l'œil, Stenciling, Foils (including gold and silver leaf), Wood Grain, and in cabinetry and furniture repaint. We use only the highest quality products including trowels from Marmorino Tools out of Italy. Specifically their traditional classic pink trowels and also their gold plated EXOTIC trowel created specifically from Gian Carlos Sagasti. The South Florida Faux team works with several local designers, developers, contractors on commercial projects; as well as innumerable individual homeowners and businesses. Contact us today to ask about a free estimate! Transform your interior or exterior space with a great new look. A-BEST Painting Contractors, Inc. gives you a clean, solid, professional painting service that gets done right the first time. All of our employees are true professionals in their field, and our painting services are never sub-contracted. We want you to call us once and get the job done right in the first time.